Ring size is not something that most people think about that much, but when purchasing a ring it is essential information. 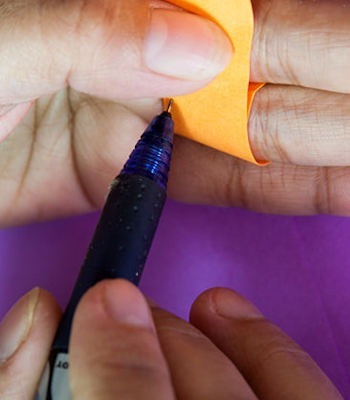 This ring size guide outlines a simple method for finding out what size of ring you need. Mark the spot where the paper meets and measure the distance with your ruler. This will give you the circumference. Use the chart to determine your ring size. Some rings also come in half sizes, the measurements of which, of course, will fall somewhere in between the whole sizes. If you are buying a ring as a present for someone else, the best thing to do is to somehow get hold of a ring the person already wears and measure the inside diameter. Again, use the chart to determine the ring size you need. 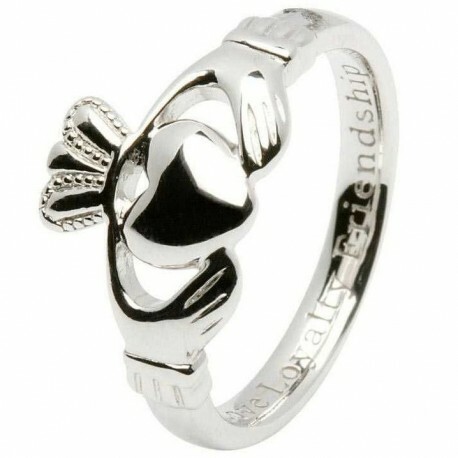 This gorgeous ShanOre Claddagh ring is made especially for women. The comfort fit of this sterling silver ring will bring a smile to any lover of Celtic art. 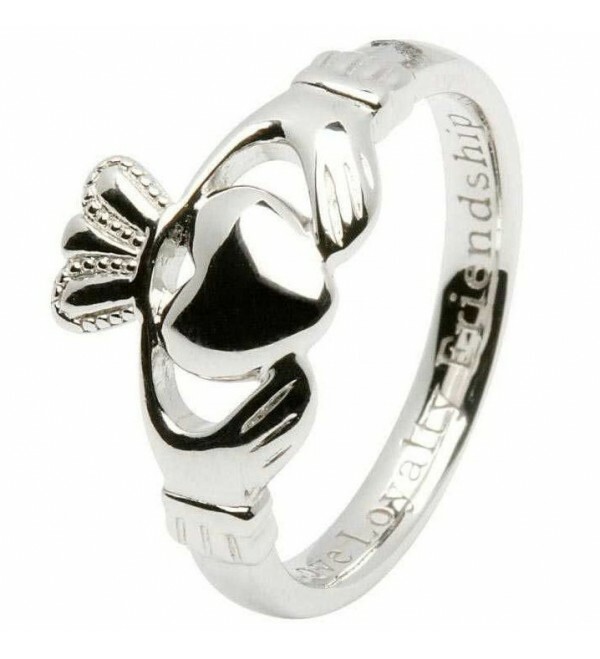 With the inscription of the Claddagh message, 'love loyalty friendship' this piece will remind the wearer of the importance of each facet in day to day life. The elegant silver hands hold the heart tenderly, but with strength, balancing the crowning loyalty of the trinity. Each and every jewelry piece is handmade by a Shanore jeweler. Each and every curve and edge of this Claddagh ring was created with precision, attention and care. The design of this unique ring was created in the mind and articulated by artisan hands. The quality of Shanore's handmade jewelry is absolutely unmatched. The versatility of this gorgeous silver ring makes it a popular choice among Celtic jewelry collectors. Without eccentric colors or designs, this subtle, yet refined ring can be worn to any occasion. With relaxed jeans and silk shirt or the accompaniment to the classic little black dress, this ring is the ultimate choice for wearability and comfort.